Trends may come and go, styles fade in and out of fashion, but there are certain aspects of planning a wedding that are unavoidable. Fortunately, as technology advances, we continue to get new simplified and streamlined ways to tackle what can often be the overwhelming task of planning a wedding. Start your wedding planning by mapping out your wedding registry. Zola, an online wedding registry, makes the process simple and stress free. Offering their services through a top-rated app, Zola lets you take your registry anywhere. Out shopping and find an item you would like to add to register for? Simply use your phone to scan the item’s barcode and it will be instantly added to your registry. Browse over 500 top brands for family and friends to gift you. Zola provides a wedding registry checklist as well as examples of real couple’s wedding registries to inspire you as you build your own. They also created a fun feature on their app that displays possible gift choices, allowing you to swipe right or left to add or decline each item. So sit back, pour yourself some wine, and swipe away to build your registry. Music plays an important role of a wedding reception, but these days it takes more than that to really impress your guests. Hot Mix Entertainment delivers, not only your favorite songs, but dramatic accent lighting and moving spotlights to help you set the right tone for your space and add that extra bit of excitement to the dancefloor. We also offer décor and interior design services, as well as cocktail rentals, furniture rentals, and everyone’s favorite – a photo booth! 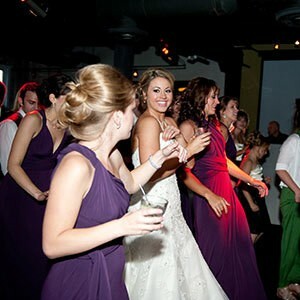 We are truly your one stop shop for all your reception needs! Spending hours at the tuxedo and suit rental shop is a thing of the past. The Black Tux, an online tuxedo and suit rental company, offers free shipping for an at home try on feature to ensure your modern suit or tuxedo rental actually fits. Starting at $95, The Black Tux has taken suits retailing for $1,200 and offers them for a rental price at a fraction of the cost. Worried about sizes? No problem. The Black Tux offers a sizing chart to make sure your tuxedo will have the perfect fit and sharpest look. If it doesn’t fit, send it back and they will gladly make the alterations you need. Say goodbye to those back and forth trips to the tuxedo store and browse the stylish tuxedo and suit rentals on The Black Tux’s easy to navigate site. Planning your wedding means looking at inspiration boards, countless Pinterest collections and Facebook photos of your friends’ weddings. Have you ever seen a wedding idea and wondered, where did they get that? Carats and Cake have stepped in to save the wedding day. Or at least time planning for your wedding day. Providing beautiful, real weddings for inspiration, Carats and Cake take the time to list the vendors for where grooms and brides to be can find their services to get in contact with them. No more searching the web for a vendor that can bring your idea to life. Carats and Cake list vendors by category for you to find the perfect match for any idea you might have! From mesmerizing wedding cakes to fairytale venues, they make sure the inspiration for your wedding is simply a click away. Wedding planning is so much easier with a wedding planner. But a wedding planner doesn’t always fit into the wedding budget couples have set aside. According to Wedding Wire, the average wedding planner cost is $1,637, depending on where you live. If a wedding planner isn’t in your budget, say hello to WeddingHappy. 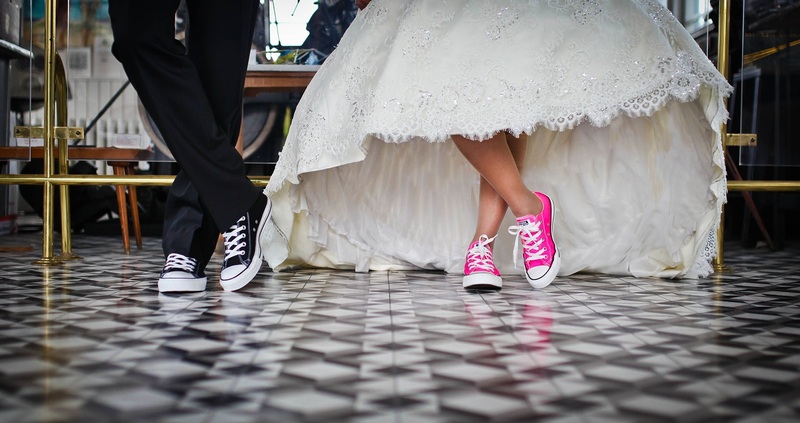 WeddingHappy is the wedding app that will get you down the aisle. With over 14 million wedding tasks completed, it is no question that this app has the credentials to help you plan your wedding. Managing your wedding tasks as well as setting you up with local vendors is one of the many reasons why couples have turned to WeddingHappy for planning their wedding timeline. It doesn’t matter if your wedding is a destination or somewhere nearby, your guests are going to need a place to stay. Thanks to new hotel booking apps like JetSetter you can find hotel rooms either in advance, or at the last minute, online quickly and easily. Simply tell them where and when you’re traveling and they will match you with the best deals on the most convenient hotels that meet your needs. Not to encourage procrastination, but users who wait until the very last minute can even get up to 60% off on same-day bookings! So tell your guests to give JetSetter a try and skip the tough part of booking their hotel rooms.